Digital Blowout: Wobbly, Daniel, Dunkelman, Whitman In Concert : A Blog Supreme At the High Zero Festival, drummer Shayna Dunkelman locked into some nearly dance-rock grooves that gave the electronics-heavy spastic final set some direction. Wobbly performs at the High Zero Festival. There will forever be something fresh in improvisation beyond genre -- music which, at first listen, appears to come from nowhere. Baltimore's High Zero Festival, now in its 12th year, seeks these new sounds with ardent attention. Curated by the High Zero Foundation, the festival sets up combinations of improvisers of all strides, from both Baltimore and abroad. A Blog Supreme is happy to present a few recordings from this year's event. The final performance of a long festival like High Zero is typically an ensemble blowout. This electronics-heavy quartet was no different, though instead of a constant barrage of indiscernible noise, drummer Shayna Dunkelman -- a former member of Oakland avant-post-punk band Mute Socialite -- locked into some nearly dance-rock grooves that gave the short, spastic set some direction. Tangents did abound, though, with sections of creeping robotic drones. From left to right: Drew Daniel, Shayna Dunkelman, Wobbly and Keith Fullerton Whitman performing at the High Zero Festival. 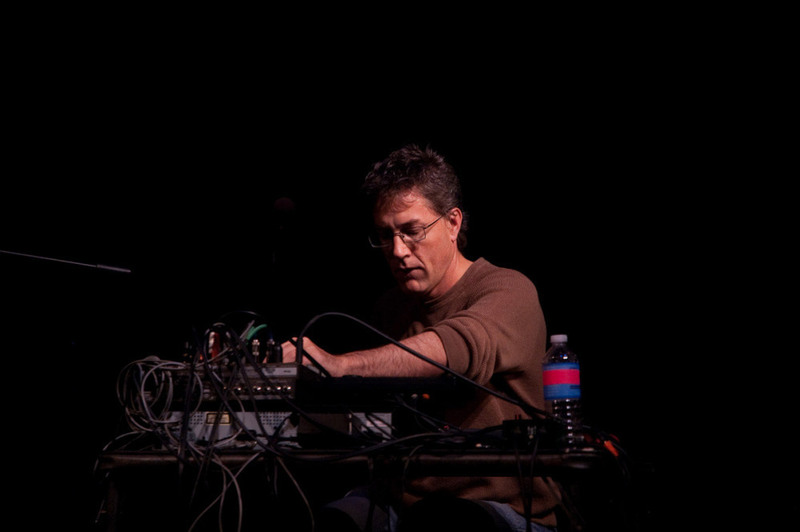 The sometimes comical bits you'll hear in the recording above come from Wobbly (Jon Leidecker), who works almost exclusively with found sound, with percussive accents emitted from Matmos member Drew Daniel. 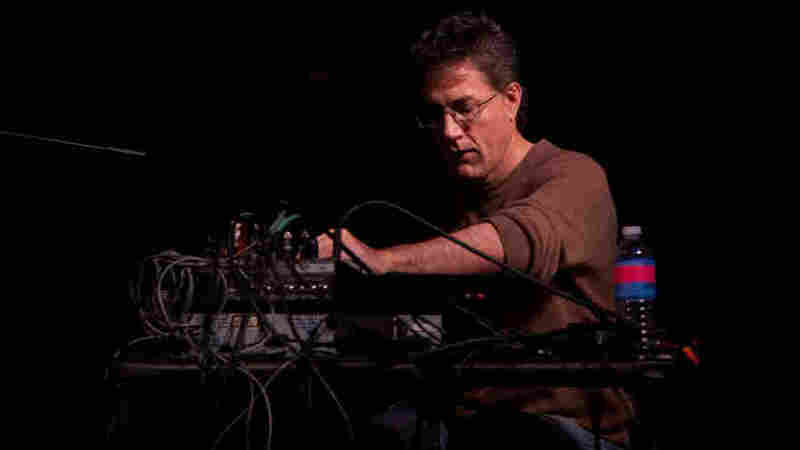 Keith Fullerton Whitman kept his synthesizer modules low-key, providing a static bed to lay everything else on. (That includes Dunkelman's xylosynth, which is exactly what you think it is -- an electronic xylophone run through a laptop.) The High Zero Festival usually seems to end with blaring horns and skronked guitars, but this quartet laid out on the ones and zeroes in equal freak-out fashion.